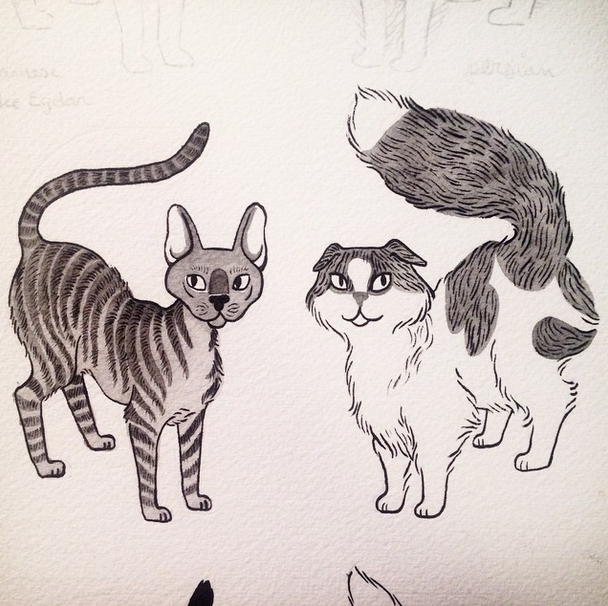 I have to say, I’ve been drawing and painting tons of cats lately. Cats everywhere. Sorry If you don’t like them, I know my last post was about cats too. 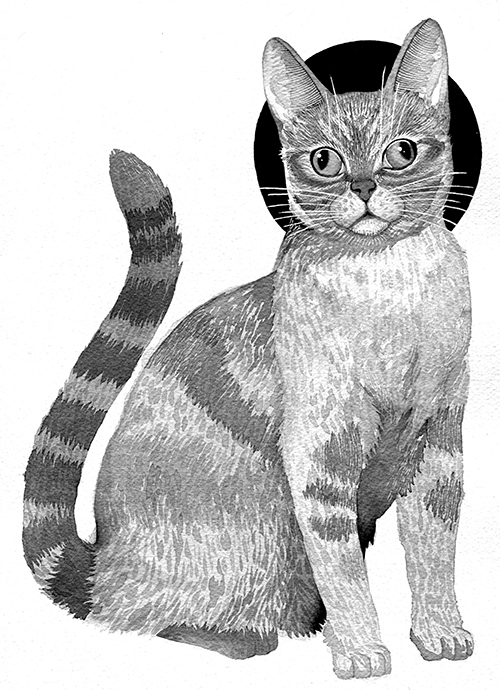 First, I’ve continued doing portraits of cats. This is my best friend’s cat; he was rescued from under a house at only a few days old. He looks like a flame point siamese, and yes, his eyes do that- whatever the opposite of cross-eyed is. Wall-eyed, I think. He’s a pretty cute guy, even though he tends to hiss at me. You can see on the top of the second picture how I started out with a sort of template, then customized each one when it came time to paint it. 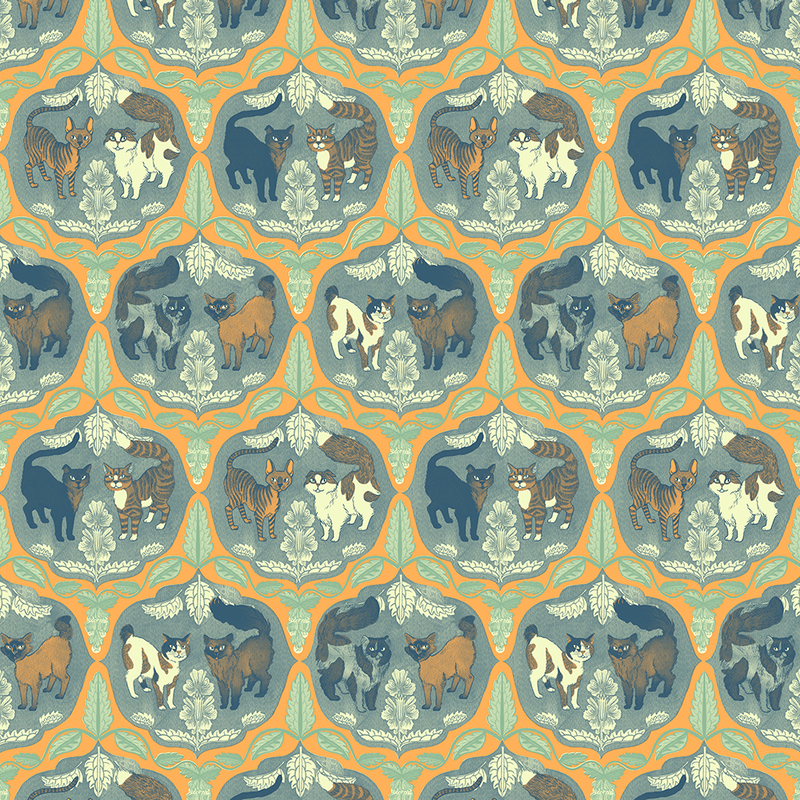 Eight cats, some other bits, and a few hours sunk into Photoshop later, I had my pattern! Those are catnip leaves and flowers all around them. I like how between the Siamese, the Scottish Fold, the Norwegian Forest Cat, the Japanese Bobtail, and the Cornish Rex, it became quite the international who’s-who of cats. I wanted to use a late summer/early fall color scheme (as even though it’s technically fall, it’s still dreadfully hot here in LA). 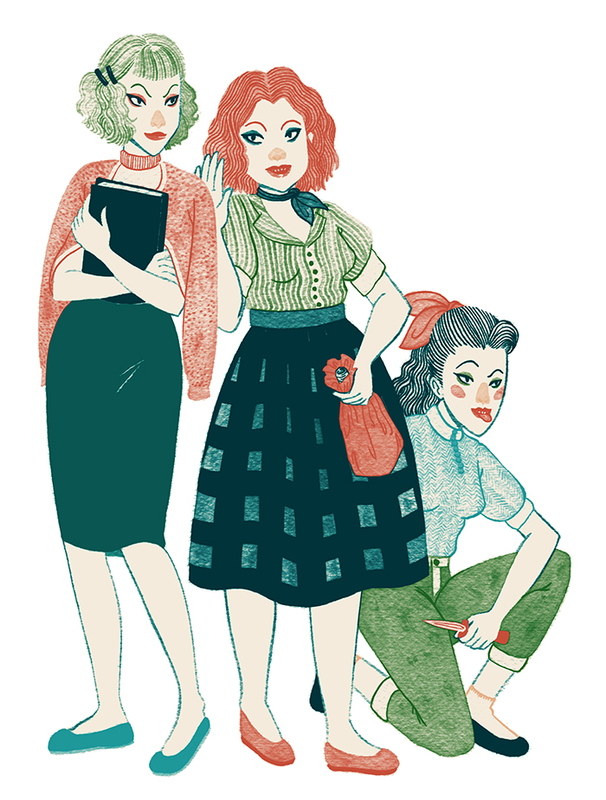 And finally, a different kind of cat- a quick drawing of some of the girls from the movie High School Hellcats. If you have Netflix instant, I cannot recommend this movie enough, especially if you’re a fan of campy older movies. Just be prepared to clutch your pearls. Beautiful kitties! Your pattern would make beautiful wallpaper. I would decorate my whole house in this. Thanks! Wallpaper would be pretty cool! I love the cat drawings and the hellcats too. That’s a vintage movie I have never seen so I will add it to my Netflix list. thank you , beautiful cat! Cute drawings, though I had not heard of the movie I will look out for it. 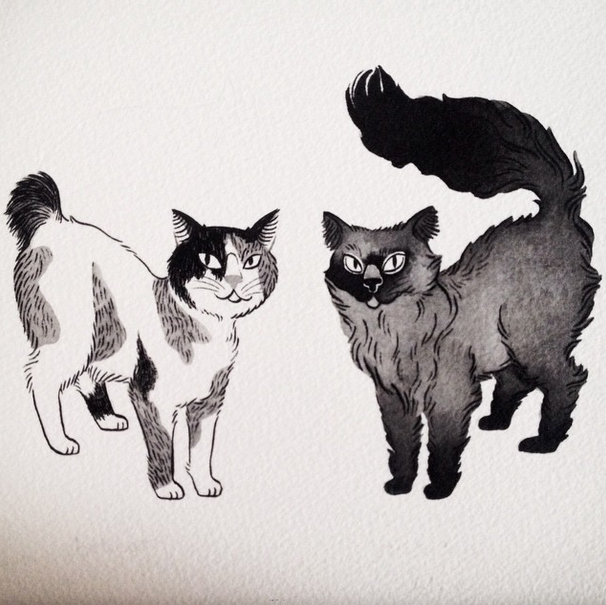 Cats are my favorite, I love your drawings. I like it the last ilustration.